Wish to get the best cabinet for your house and then you must see this one. This is a white, gray cabinet made up of wood. It has four drawers providing ample storage. In this cabinet the first and third drawers are gray in color and the second and fourth drawers are off-white in color. 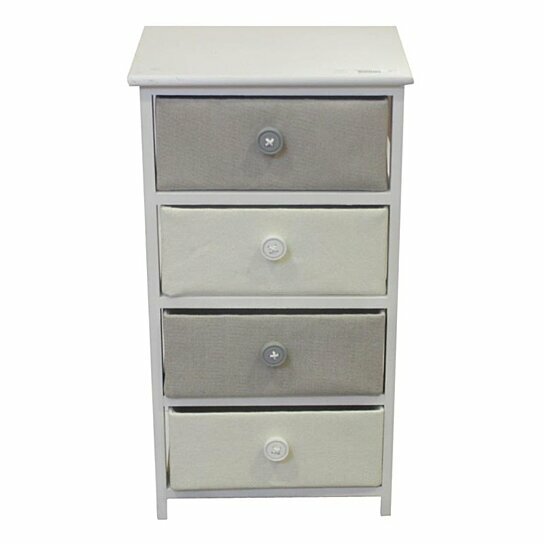 Drawers have button shape knob to let them open and close easily. This can be place in any living space or in office too. The top of this cabinet can be decorated with photo frames, glass decorative and vases. You can keep various things inside this cabinet according to the room it?s placed in.